Fishing can be affected by a number of factors. One of such important factors is the time of the day when you are fishing. Mostly, the morning time is ideal since a lot of fish are early feeders, such as the bass. The morning is the time when they rise up towards the surface or come close to shallow waters to look for food. Depending on the season, or the weather, morning fishing can seem to have to change features. While it might be the best timing for fishing during one season, for another season, it might not prove to be so. For several different reasons, the timing still matters. If you are wondering about set guidelines that you can follow for morning fishing, then read on as we list all that you need to follow in order to make your fishing at morning session a success. Let us have a quick look at the guidelines for fishing at morning. There are several benefits when we think about fishing early in the morning, especially before the break of dawn. In the early morning stage, the temperature of the water is usually very low, thus making it a suitable and comfortable environment for fish which swim above to look for food. Additionally, this is exactly what makes it perfect timing to go morning fishing during late spring, summer or early fall. As the day progresses, the temperature of the water usually rises and tends to get hotter. Since the early morning sun has a soft light which is not too bright, it is extremely helpful when fishing for species that are sensitive to light, for instance, bass and catfish. Furthermore, since the rate of insects flying around is high at this time of the day, you’ll usually find fish trying to feed on them. So be hopeful about finding a good population gathered where there’s a lot of insects early in the morning. Furthermore, if you want a peaceful and calm environment to get a good catch, you can always expect it to be super quiet especially during this morning time. Other than a few other fishermen like you, you’d rarely see another soul so early in the morning. Temperature is a huge factor when it comes to fishing. Unlike humans, fish are cold-blooded animals and have a hard time controlling their body temperatures in case of extremely cold or hot water. Therefore, your goal should be to avoid extremely high or extremely low temperatures, since they affect fish a lot, and in turn, will affect your rate of being able to catch them. If you’re wondering how fish behave during the late morning to early afternoon period, then you should know that fishing during this time can prove to be slightly problematic. This happens as most fish don’t like the heated water or the rays of midday sun beating down upon them and as a result, will swim further down to reach colder water. On hotter days, fish tend to move towards the cold waters deeper into the sea. Due to the high heat conditions, the top or shallow water lures won’t work during middays since the presence of light combined with the heat will mean that insects and critters won’t be available, and so the fish won’t appear for food. What will work, however, are deep fishing baits, rigs, and lures which will allow you to reach fish that are deeper under the water. Top bait tricks, on the other hand, will only work best in the early morning and late afternoon when the water temperature will cool down and the sunlight won’t be as harsh. You might frown upon the sky as it turns gloomy: the typical sign of a downpour. However, oddly enough, a gloomy weather can actually lead to better chances of you catching fish during this time. Since clouds, rain or wind can actually cast a shadow over the water, there’ll be fewer chances of sunlight heating it up. The shade from direct sunlight and heat protects the fish and allows them to swim around and feed themselves. This dark and not too hot temperature will eventually make the fish appear on the surface again, and you will surely have a good catch. Fishing during the seasons will change according to the temperature of the water, amount of sunlight, the wind pressure and so on. 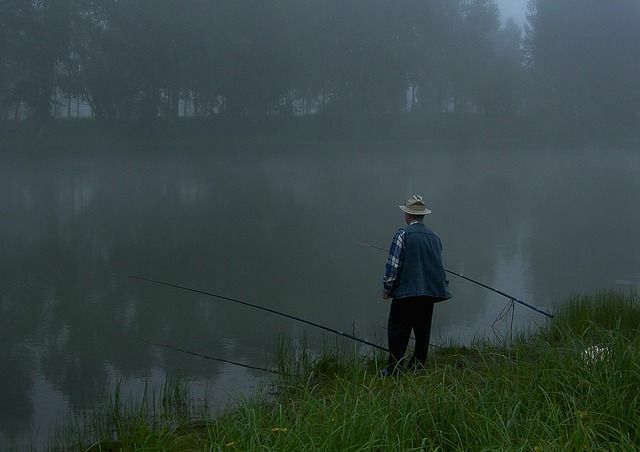 During Spring, early mornings can prove to be a loss for going fishing. Since the sun is still low, it wouldn’t be able to heat the water enough. This means that the fish won’t be out for feeding and won’t be anywhere near the cold water since it’s not comfortable. It is usually best to wait for some time in this case since as soon as everything thaws down and the temperature gets back to normal, the fish will return to feed again. As for the late morning to early afternoon period, you will notice the water temperature starting to rise since the sun will be up by then. Fishing on the downwind shoreline during this time will actually prove to be the best since there will be winds to push warmer water and food towards the area. early mornings during summer are actually very good for fishing. However, it can still prove to be a bit of a challenge since there already be a lot of food and cover available for the fish. As a result, it will be difficult to find fish that are hungry enough to bite on your baits. During the late morning to early afternoon period, you don’t seem to have much luck with catching any fish. Since the water is too hot during this time, the fish won’t stay for long on the surface but move further into the deep waters for shade and shelter from the sun. fishing on early mornings won’t be as productive during the fall since the water temperatures will be really high. The early morning sun won’t be enough to heat the water enough for the fish to be comfortable in them. The late morning to early afternoon period will be slightly better than early morning in terms of water temperature. You might find fish appear to the surface since the water is a bit warmer at this point. However, you should expect the water to remain cold even during middays since the overall temperature will be cold. All in all, while fishing in the morning may have its perks in the summer, the same can’t be promised during the winter. This is because the temperature of the water would be at its lowest during that time, and the fish would most naturally be inactive until the sun’s heat warms the water temperature a little. 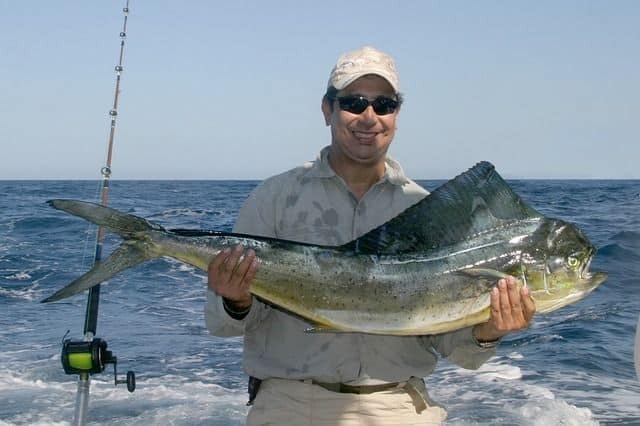 In contrast, if you consider the same time of the day but during the winter season, then the timing between late morning and late afternoon proves to be the best for fishing since sunlight during this time of the day will heat up the extremely cold water and allow the fish to feed and swim comfortably. If bass fishing is what you’re into like many others, then there are a lot of techniques that can be used for fishing this most sought-after species. Bass is also the most common variety found in most freshwater lakes, streams, and rivers. You can fish for bass during any time of the day, but an effective timing is an early morning. The summer season is almost always a few difficult months if you plan on fishing for bass. This is because the bass is extremely sensitive to the temperature of water, and usually avoids water that exceeds 80 degrees. The period from late June to early September is, therefore, a few difficult few months for bass fishing. However, during early mornings you’ll often spot some bass in the shallow waters that come about to feed. The trick is to make good use of this chance as their feeding session actually gives you a very good opportunity to land a lot of fish. If you go fishing early enough, you will often notice that the bass looks for food to feed during that hour. Since the light is still very soft after the sunrise, the bass search for baitfish, mostly on the top water. It’s also during this time that they move around a lot and get busy trying to attack the baitfish. As most experienced fishermen would suggest, you can take the help of this feeding session and throw in some topwater baits to attract the bass. This can trick them into thinking your baits to be food, and therefore falling into your trap. You can use topwater baits such as spinner baits and lipless crankbaits. If you’ve been fishing for bass for some time then you are bound to know that bass is always attracted to some form of structure or the other. Underwater structures such as tree stumps or sunken trees never fail to attract bass, because these places usually contain baitfish. If you want to catch some bass, you can always trick them by targeting these structures when you go fishing in early mornings. Slowly jig any kind of bait, such as a plastic worm to grab the attention of a nearby bass. Observe to see whether you are getting any bites, and keep changing the depth of your bait until you think you’ve reached the level of the bass. If you feel your current bait is not working then simply switch the bait to a crankbait to switch it up a bit. You can expect to catch a lot of basses if you fish during the early hours of the morning. Since the sun isn’t fully up, there is still some darkness that actually helps since bass is very sensitive to light. However, you shouldn’t leave just yet. Stay back a little longer till you see the sunrise. As with bass, they always cluster near shades or under any submerged structure in search of food, thus allowing you the opportunity to catch them as you get the chance. Wanting to go fishing isn’t as simple as it may seem. There are a lot of factors that you need to take into count if you decide to catch a lot of fish. You wouldn’t want to put so much effort into fishing and then come back home empty-handed. For this, knowing when the perfect time for fishing is, which season will yield more catch, or what kind of bait to use according to each scenario, is extremely important. Being able to judge the behavior of your chosen fish, and locating a target spot where you will find it, are all factors that give you an upper hand when you go fishing the next time. Now that you know what you need to do in order to go fishing in the morning, you can prepare yourself according to their behavior and be a step ahead. Hopefully, the guidelines in this article have provided you with all that you needed to know. At the end of the day, it all depends on how you apply the techniques that you’ve learned and how much you can progress with practice and experience.